Football is almost as synonymous with Thanksgiving as turkey, stuffing and pie. It might be even more so. How did this yearly tradition come about on the fourth Thursday of each November? 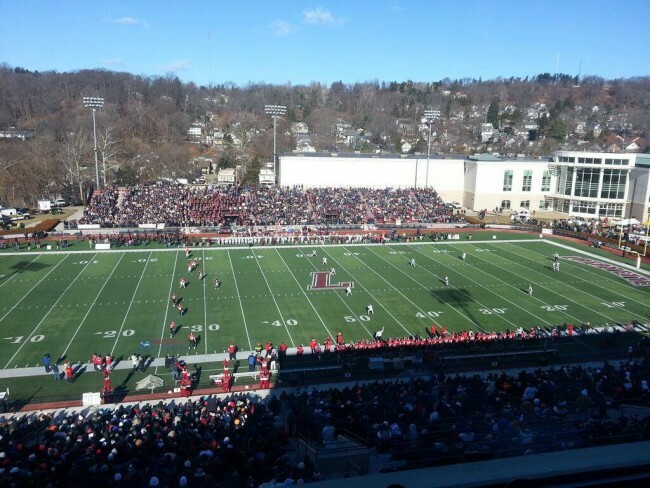 This game was played two weeks after Rutgers University defeated Princeton University on November 6 in New Brunswick, New Jersey, in what is considered to be the first-ever football game. The Young America-Germantown game also occurred six years after President Abraham Lincoln declared the first fixed national Thanksgiving holiday in 1863. At the collegiate level, Princeton University and Yale University played on Thanksgiving from 1876 to 1881. The tradition grew as many high schools began playing on Thanksgiving each year as well. Boston Latin School, the oldest school in the United States (established April 23, 1635), began playing English High School of Boston on Thanksgiving in 1887 at Harvard University. It is the longest continuous Thanksgiving Day rivalry in the country. The first professional football games on Thanksgiving were played November 25, 1920. No games were played on the holiday from 1941-44 because of World War II. In the NFL, the Detroit Lions and Dallas Cowboys have been Thanksgiving staples. The Lions began playing on the day because owner GA Richards wanted to get more fans in the stands. Detroit played the Chicago Bears on Thanksgiving Day 1934, and the Lions have played on the holiday nearly every year since. The Cowboys jumped on the Turkey Day bandwagon in 1966 (defeating the Cleveland Browns) in an effort to build their brand and fan base as well. The NFL has since expanded what used to be “Detroit vs.” and “Dallas vs.” to a three-game slate. The game times each Thanksgiving are 12.30pm EST, 4.30pm EST and 8.20pm EST – because as with the food, no one can ever get enough football on Thanksgiving.